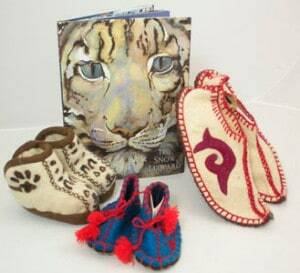 The zoo gift shop sells several unique crafts that support community-based conservation in Africa and Central Asia. Revenue from these items improves the quality of life for villagers, and replaces the need for poaching with incentives to protect wildlife. 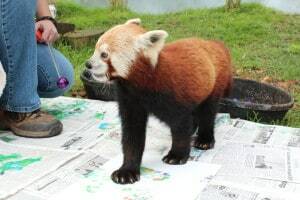 The gift shop is also the place to purchase red panda paintings, whose sales benefit the zoo’s Conservation Fund. Zoo members receive 10% off every purchase at the gift shop! The greatest threat to painted dogs in Hwange National Park in Zimbabwe is poaching by the people in surrounding villages. Driven by poverty, villagers set illegal wire snares in the bush to indiscriminately trap wildlife for food. In 2003, the Painted Dog Conservation Project founded the Iganyana Arts Center to provide locals with a sustainable alternative to poaching. The Center provides villagers with materials, training, and a place to work, and pays them for products that pass a quality control inspection. 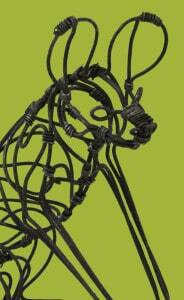 The artists have become skilled in fashioning animal sculptures from snare wires retrieved by the anti-poaching units. Purchasing one of these unique sculptures helps to provide a family with a sustainable income and ensures that the snare wire will not be used again to kill wildlife. Learn more about the Painted Dog Conservation Project. In central Asia, the snow leopard shares its habitat with low-income communities of herders that depend entirely on their livestock for food and wealth. Villagers resort to poaching leopards in order to protect their herds. Snow Leopard Enterprises is a partnership between local communities and the Snow Leopard Trust. Through this agreement, women are given the opportunity to increase their household income by up to 40% selling handmade wool items to Snow Leopard Trust. In return, every member of the community must agree to protect snow leopards and wild prey species from poaching. Our gift shop offers a variety of these wool items from Mongolia, Kyrgyzstan, and other central Asian countries. Learn more about Snow Leopard Trust. Using the same positive reinforcement training used to calmly guide animals into holding crates for vet check-ups, our keepers guide the red pandas to step through animal-safe paint and transfer their pawprints onto canvas. The result is a one-of-a-kind animal masterpiece! Pawprint paintings are available in the gift shop in a variety of colors and sizes, and all proceeds go directly into the zoo’s Conservation Fund to support wildlife and habitat conservation projects. 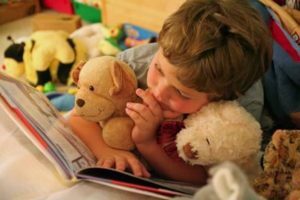 All of these items – and more! – are available for purchase at the zoo gift shop.